Puggles recognizes the learning ability of 2 1/2 year-olds by introducing biblical precepts at church and equipping parents to teach them at home. Toddlers love having their very own Awana club just like their older siblings. 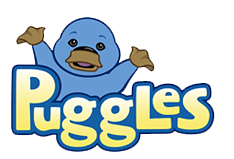 In Puggles, children are welcomed each week with play time, songs and simple crafts and activities. Your children’s ministry leaders present age-appropriate lessons using large, colorful teaching cards, finger puppet plays and more. Every church needs a strong teaching format for preschool. Kids this age can embrace important concepts through fun, clear curriculum, and Awana provides it all for you. Here, Cubbies learn about the greatness of God, His Word and His love. Lessons continue to teach respect for God and His sovereignty. Curriculum also explains Jesus as the Servant, Teacher, Savior and God’s Son. Awana Cubbies curriculum encourages early parent participation in Awana, helping to establish the practice of parent discipleship. This modern, kid-friendly club is a major hit! Sparks teaches basic truths about God, His Son, salvation and the Bible, and builds an enduring foundation of biblical wisdom through Scripture memory. Kindergarteners and ﬁrst and second-graders are often more receptive to the gospel than any other age group, making Sparks a particularly important setting for evangelism. 3rd through 5th graders present a unique challenge to ministry. 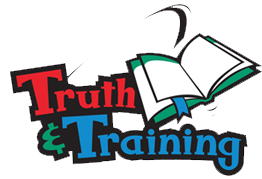 They face increasing obligations, both positive and negative, that can divide their attention and might even lead some kids, especially older ones, away from Truth and Training. At an age when kids are being pulled in every direction, T&T provides a solid spiritual foundation. Help keep Bible study and evangelism high priorities in their lives with T&T.